Well, this book made me actually love Snow White, my least-favourite of all the Fairytale princesses. So that’s saying something! Let’s be honest: in the fairytale Snow White is pretty useless: she hides from the Evil Queen, she needs to be protected by the dwarfs, she takes food from strangers and she needs the prince to save her. Lorelai is nothing like that. She’s pretty badass and can take care of herself. Yes, she’s been in hiding ever since the Evil Queen killed her father and took her kingdom and she’s been on the run with her little brother. But she’s been biding her time – stealing food from the queen to give to the poor, practicing her magic and getting stronger until she can face the Queen again and win. If that’s not an amazing heroine, I don’t know who is. I loved Lorelai and her story from the very first chapter. Like I said, mostly because Lorelai is an amazing character, but she’s not the only one. This book is filled with so many really great characters that it’s hard to say who I loved most. Though the answer is probably Leo, Lorelai’s little brother. He’s funny, enthusiastic and a bit reckless and I loved the relationship between the two siblings. They like annoying each other, but they are also fiercely protective of each other and I just loved that. But then there’s also Sasha, Lorelai’s bird who she has a telepathic connection with that is so hilarious. And there’s Gabril, the former captain of the guard who gave up his life and his family to protect the royal siblings and keep them safe from the Evil Queen. They are such a fun group together and I instantly loved their antics. I also loved, loved Kol and I though he was brought into the story in such an original way. The love interest is a shape-shifting dragon who becomes the Huntsman in this Snow White retelling, how cool is that? I loved that we got scenes from Kol’s POV as well, as he has his own story to tell and his own problems before he ever meets Lorelai and their stories intertwine. He is a fully-developed character and not just a one-dimensional love interest, which I applaud. This makes the romance so nice, perfectly paced and believable. Even though it’s a retelling of a very popular fairytale, the story still manages to be unpredictable. It has the essence of Snow White, but it’s still it’s own story. It’s also written in a beautiful and natural way that got me completely invested in the story. This book made me happy, it made me cry and gave me all the feels. (I cried actual tears during one scene which really wrecked me – I’m still not completely over it). I also thought the plot was perfectly paced and I loved the world. I’m so glad we will get more books set in this world. The only tiny little nitpick I have is the magic system. Even though the rules were kind of explained, I still found it a little too vague and not fleshed out enough. But I loved the book enough to just kind of roll with it anyway. Overall I thought this was a really fun and super enjoyable addition to the retelling genre. 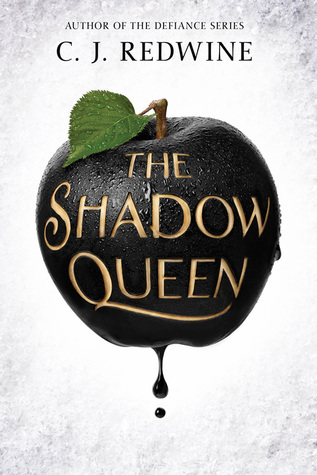 My favourite Snow White retelling so far and definitely in my top 5 list of fairytale retellings in general. A highly recommendable read for anyone who is looking for a fun and magical fairy tale adventure. “Hastily, Lorelai swept into an elegant curtsy – no small feat considering het current attire – and said the first thing that popped into her head. This one is on my TBR. It sounds really interesting and it’s great to hear that you enjoyed it, definitely makes me more excited to read it. Great review! Thanks! Sorry you did not like this one, but it’s a good thing there are so many books out there for everyone to enjoy 🙂 The other books in this series will take place in the other kingdoms I believe, so maybe you will like the other characters and plotlines. Thanks for stopping by!